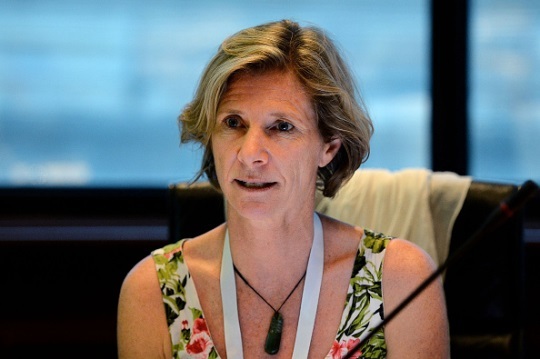 New Zealand's International Olympic Committee (IOC) member Barbara Kendall believes Oceanic nations should only compete in Asian sporting events on a "sport-by-sport" basis, dependent on a number of different variables. Ever since Australia was accepted as a member of the Asian Football Confederation in 2006, there has been a growing school of thought that Australia and New Zealand would particularly benefit from the higher standard offered by Asian competition. All 18 members of the Oceania National Olympic Committees will compete at the 2017 Asian Indoor and Martial Arts Games in Ashgabat, Turkmenistan, and, speaking in September, Olympic Council of Asia President, Sheikh Ahmad Al Fahad Al Sabah, speculated that they could, in a long term sense, also compete in the Asian Games. This comment has since provoked a mixed reaction from figures from both continents. Australian Olympic Committee officials have been among those speaking enthusiastically, while leading figures involved in Asian rowing and rugby sevens have expressed concern it will damage competition and reduce opportunities for their athletes. Kendall, the former Olympic windsurfing champion who is also chair of the Association of National Olympic Committees (ANOC) Athletes' Commission, believes each sport should be considered separately. "It would be done federation by federation depending on the qualification system for the Olympic Games," she told insidethegames during the ANOC General Assembly in Bangkok. "If we have to qualify through Asia, it would make sense to send a basketball team to the Asian Games. "In comparison, I don't think we'd need to do it in rugby because Oceania is so strong, football, basketball...maybe. "So it wouldn't be as a whole, but would be on a sport by sport basis, that's my opinion and how I see it, the most sensible way." Although not mentioned specifically by Kendall, swimming is another sport where some believe Oceanic nations would be a good addition, because it would increase the standard in a sport currently monopolised on the Asian Games stage by China and Japan. But, with Australia and New Zealand set to make their respective debuts in the Pacific Games in Port Moresby next July, Kendall believes there is no danger of the two continental superpowers ending up cut adrift from the rest of Oceania. "There is no danger of that," she added to insidethegames. "We're the biggest Polynesian population in New Zealand. "We're a bit like a big brother, but we fit best there."